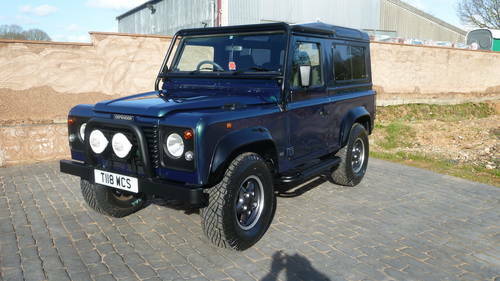 The only V8 Automatic Defender ever produced from the Land Rover Factory. This was to commemorate the 50th Anniversary of the highly collectable Defender. With production of the iconic Defender now ceased this is the last chance to obtain the ULTIMATE Defender ever made. The Defender 50th Limited Edition has got to be one of the best defenders ever produced, and one of the most expensive with a price tag of £26,000 IN 1999. The 50th WITH ITS AUTO BOX AND AIR CONDITIONING combines comfort, performance and practicality,and makes it the most desirable 90. This is a very good condition imported vehicle that has been in the UK since 2014 this 40,000km sample was registered supplied by rover in Japan. 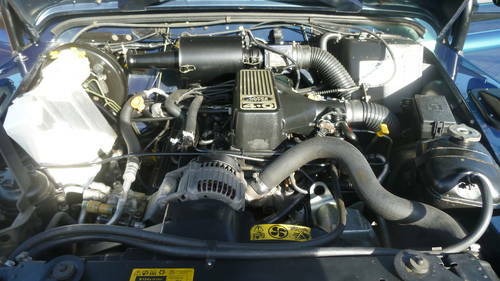 The engine compartment still has traces of the wax coating on it and is all original with no modifications. Located in Devon any inspection is welcomed. 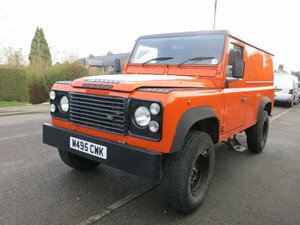 VINTAGE RIGHT HAND DRIVE Land Rover DEFENDER 110 2.5L, Diesel engine, MANUAL 4X4,. YEAR 1985 Car has been restored and in working condition. We have also repainted it. Ready to rock. 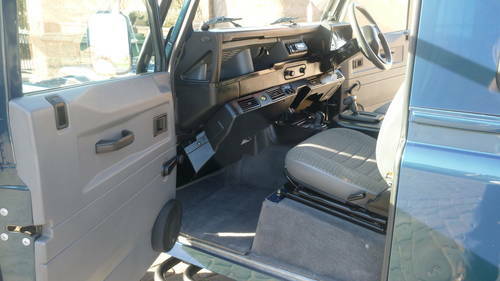 This is a 3 Door Pickup with a canopy. Selling Ex yard SINGAPORE Ready for immediate delivery. 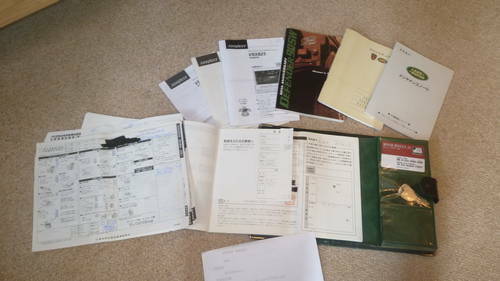 Land Rover Defender 110 V8, 1985 Land Rover Defender 110 V8, year 1985. Colour dark green with a crème white roof-top and a black interior. 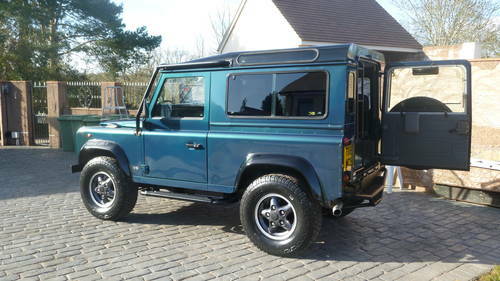 This impressive and rare V8 Defender was sold new in Switzerland. From Switzerland the car was imported to the Netherlands. From new the car has driven 125.